Colorado officers and courts have not tracked cannabis-involved DUIs before 2014. However, after cannabis was legalized in the state, the court system began monitoring the number of cannabis DUIs. From 2014 to 2015, fewer than 15 percent of DUI citations from state troopers involved cannabis usage. The total number of DUIs related to cannabis use have decreased 1.3 percent from 2014 to 2015. One interesting fact is that there are more DUI-fatalities associated with alcohol than there is with marijuana. In fact, the Colorado Department of Transportation found that car accidents are not correlated with cannabis use. In 2014, approximately 32.7 percent of accidents with a fatality involved alcohol, while only 12.3 percent of drivers in fatal accidents had positive marijuana tests. A clear majority of marijuana users in the state do not even drive. In another large-scale study, it was found that there was no increase for a crash risk associated with cannabis use compared to alcohol use. The study was conducted by the United States National Highway Traffic Safety Administration(NHTSA), and they found that the cannabis crash risk estimate of 92 percent was greatly over exaggerated. They found that the increase was less than 1.2 percent. 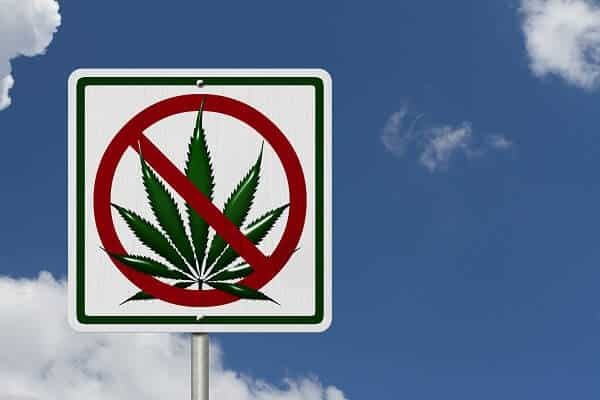 While there might not be an increased risk for a fatality while driving under the influence of marijuana, it is still illegal to operate a vehicle after using this substance. Therefore, any amount of marijuana in your system could result in charges, especially if you were to cause an accident. In Colorado, the legal limit is five nanograms per milliliter of blood. Under the influence means that you cannot operate a vehicle safely because of your marijuana in your system. As you know, marijuana has different effects than alcohol. However, the same penalties apply regardless of which substance caused your impairment. While you might not have a blood test with an over the limit level of THC in your system, you could still face a DUI charge and the associated penalties. For example, if you are recklessly driving or cause an accident, your THC level (in any amount) could be used against you. In Colorado, there are medical marijuana users as well. While you might be prescribed marijuana, you still cannot drive while taking the medication. As a medical marijuana user, you must know the state’s approach to being under the influence. Furthermore, listen to the physician prescribing your medication to ensure you do not break the law while using your prescribed marijuana. Most medical marijuana products are in higher concentrations than those purchased for private use; therefore, you must be extra cautious about using medical marijuana and operating a vehicle or heavy machinery. If you or a loved one was arrested for a marijuana-related DUI, you need to contact a criminal defense attorney as quickly as possible. Speak with Christian A. Schwaner, P.C. today regarding your DUI. As a former prosecutor, he understands the system and can help you achieve favorable results in your case. Schedule your consultation today at 719-577-9700 or request an appointment online.